You are here: Home / Family / Do the “Hot Potato” with The Wiggles! Do the Hot Potato with The Wiggles. As parents, we often find ourselves allowing our kids to watch TV, even our littles! What better way to do this while they are getting active, having fun AND getting educated too? The Wiggling commences at WFCU Centre on Thursday, July 28th for a show at 6:30 PM. 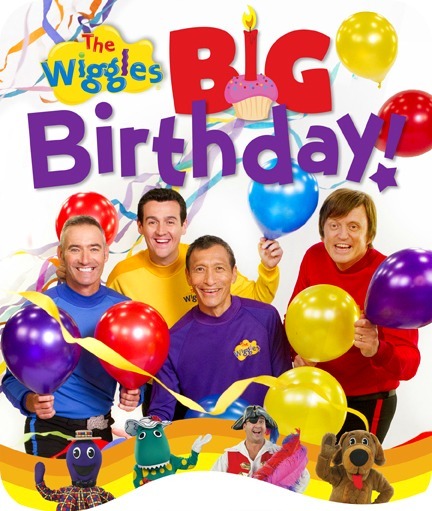 Come along and “Sound Your Funky Horn,” “Clap Your Hands With Dorothy,” and do the “Hot Potato.” Join The Wiggles, Captain Feathersword, Dorothy the Dinosaur, Henry the Octopus, Wags the Dog and all the Wiggly Dancers as they celebrate their Big Birthday in Windsor! Tickets for Windsor are on sale now and are available at the WFCU Centre box office, by calling 1-866-969-WFCU, or online at www.WFCU-Centre.com. Prices range from $15 – $75 (additional facility fees and service charges may apply). $75 tickets in the Wiggles VIP section are limited, and will include the best seats in the house, an exclusive gift, an activity sheet and a chance to dance along with The Wiggles themselves! This is a perfect way to have fun with your family. The kids will love it because it’s one of their favorite shows LIVE. Plus, who can resist dancing and getting down to these addictive tunes? I know that I love doing the Hot Potato! So, always take a look when they will be in town. That way you can get your hands on tickets! The prices above are amazing for a family night out. That’s awesome prices for Wiggles tickets, don’t you think? I know I do! Have fun, twist and shout and get down with the wiggles. Do your kids love The Wiggles? Previous Post: « Oliver’s Date Labels Keep Me in Check and Organized! Nevaeh and Nathanael LOVE LOVE LOVE the Wiggles! I really hope we win! LOL but regardless we will be there. The show is right smack in between both of there birthdays! Vaeh's is the 23rd and Nana's is the 30th. My kids would absolutely love this, maybe not my newborn but my 5yr old and 19 mt old would!!!! This article offers clear idea for the new users of blogging, that in fact how to do blogging and site-building.